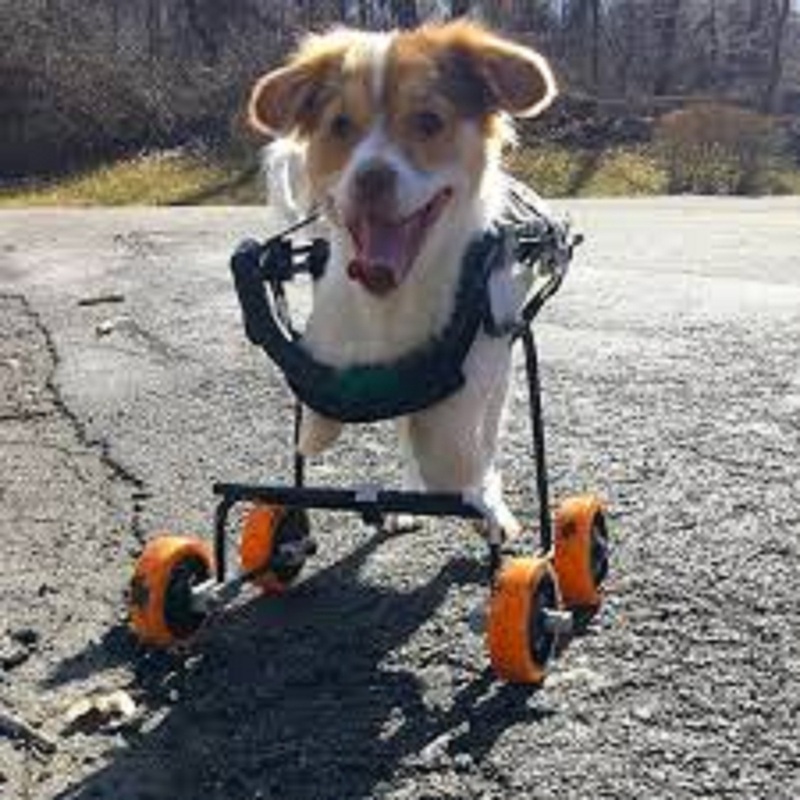 A disabled dog is born without its front legs and now has its own wheelchair, having been rescued from a horrible hoarding situation. Loki, 3 years old, was born without any front limbs due to close breeding. He was one of 30 animals rescued from a hoarder. Loki, the Chihuahua and Beagle combination was adopted by office manager Katie Orsenigo, 24, and car business owner Ron Petruska, 26, in May last year. They brought Loki 1000 miles from Alabama to their New York home but soon realized that the way the pup walked on his chest was hurting his back. 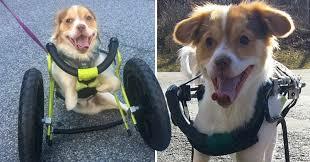 The veterinarian informed the engaged pair to get the puppy fitted for an animal wheelchair so he can walk and run without causing long-term damage to his spine. The puppy fell in love with his wheels and now counts down the hours until he can hit the road with the couple’s other dog, Marley, a six-year-old Havanese. According to Katie, Loki adoptive mom, the pup makes everyone smile, and the pup is the happiest animal despite everything that has happened to him. Katie, from Mahopac, New York, said she fell in love with Loki after seeing his photo and reading his sad story on Petfinder. According to Katie, "He looked so happy despite everything, and we were delighted when they told us we could adopt him. Although he seemed happy to scoot on his chest, the vet said it would hurt his back in the future if he continued to do so, so we started the plan of getting a new wheelchair. At first, it was very difficult: he keeps tripping over it and falling on his neck. But we have made some adjustments now and it works well. "It's great because he certainly associates his wheels as something happy." 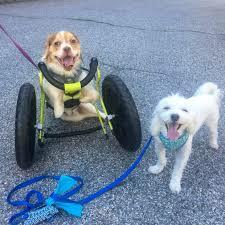 She said the pup wheelchair draw a lot of positive attention when she is out with her puppy and inspired her to establish her own organization From Hope to Home, a network of animal foster parents who help dogs in need. "It's like Beyonce is on the street, people stop me and ask me questions about Loki, they just cannot resist her big smile," she said. It's very nice, people cannot resist him. Even though my other dog, Marley, is really angry, they have become friends. "Even Marley cannot resist Loki's positive attitude.